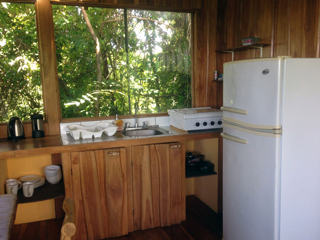 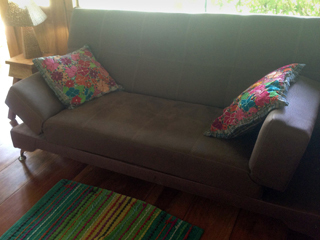 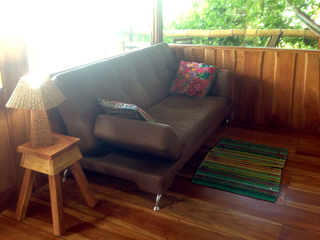 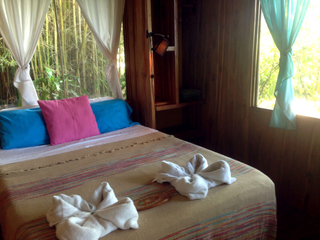 The Bamboo Bunglaow is a teak one bedroom, one bathroom, casita with an equipped kitchen and wrap around porch. 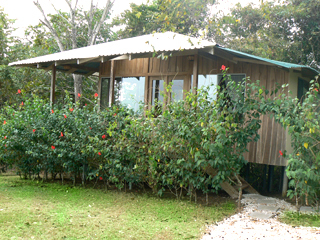 It is tucked into the jungle along the Montezuma River. 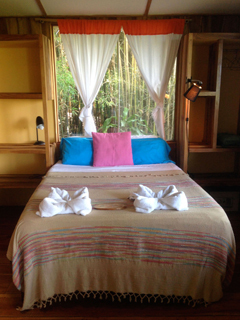 That rushing sound you hear is the river roaring below you towards the famous Montezuma Waterfalls. 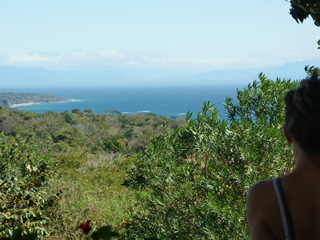 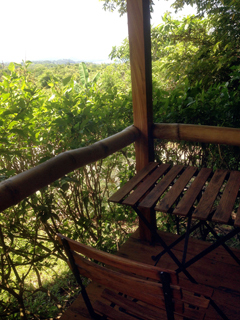 From the porch you can soak in the view of the gulf and the parade of wildlife through the jungle canopy. 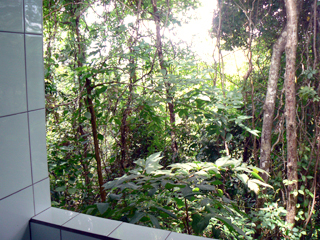 The hot water indoor shower has a huge window open to the jungle canopy with peek a boo views to the ocean - it feels like showering in the jungle. 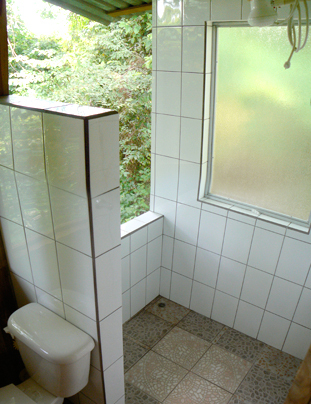 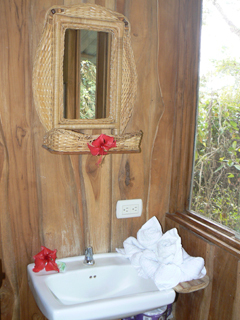 The bungalow also comes with an outdoor shower nestled into the stand of bamboo next to the bungalow. 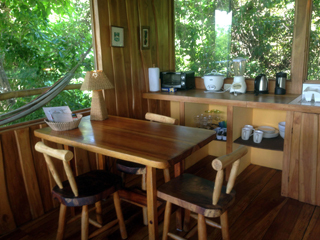 Rustic, comfortable, cozy, and secluded.